It's been a beautiful year, full of work and more work and great people to work with. It's difficult to sum up a year in one blog post, so instead I’ll have to do a few parts/blog posts of my favorite photos of the year. Photography is a lot like life, a hodgepodge of the things we love and I especially love to create work for anyone that asks me to. Today though, I'm going to share photos of dancers that have made their way into the studio in the last 12 months. This is the first year I jumped into capturing art dancers from Chicago or simply visiting this beautiful city I live in. It has really expanded the realm of my work. My photography shifted and I'm creating work that defines my style. Dark, moody, sincere, with a feeling of effortless poses but as most dancers will tell you, it’s not an easy task. I’ll start with Paige Fraser, now a 2016 Princess Grace Award Recipient. When we met back in January I wasn’t sure I understood what a magnificent dancer she is, and what a humble person she remains through all of her accomplishments. I did introduce her in my previous blogs (you can find those here) and shared her success story of overcoming the threat of scoliosis and never dancing again, but as she’s proven over and over is her perseverance. She has ability to push further and stronger to be one of the best. Chicago’s very own Street Wise Magazine wrote a story about her an in doing so included photographs we created and made featured on the cover and centerfold. English Swanson; now teaching and focusing on ballroom dancing, was so graceful. I just had to include a video from behind the scenes of the shoot. The photos we captured, exuded elegance and movement. 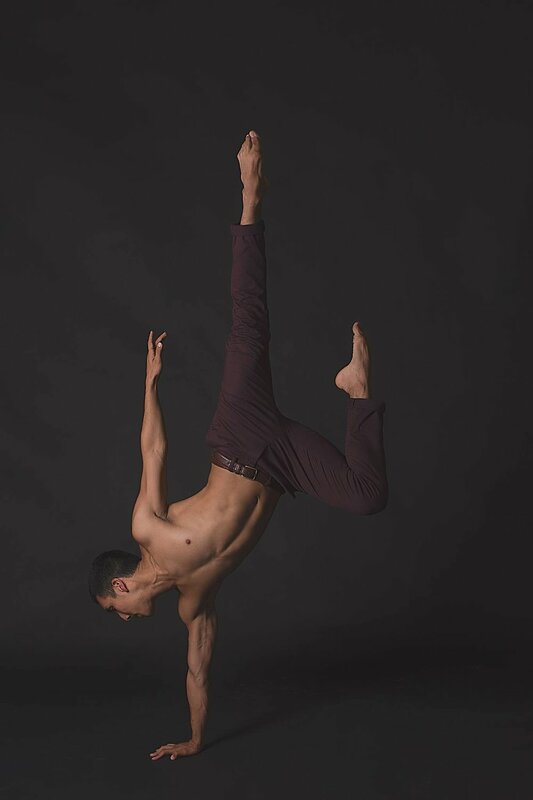 Ruben Medina was the first male dancer I was able to photograph, he was such a sweet energetic and charismatic dancer. He just couldn’t stop smiling even attempting some really unique poses that I could never imagine EVER having the strength for…and yes I mean physically. Hayley came in so shy and nervous about the images we would get. Dancing is such a beautiful extension to her personality and she really put her hard work into every pose and dance motion she created. Belle Jessen was not at all shy, her funky, strong and rock and roll look showed through every pore of her. Each image cooler than the next, I’m still trying to decide which one I love more. I’m going to have to dedicate a single blog post just for all of her images. This isn't it, come back for the next blog post and see the second half of my favorite dancers and each favorite photo!